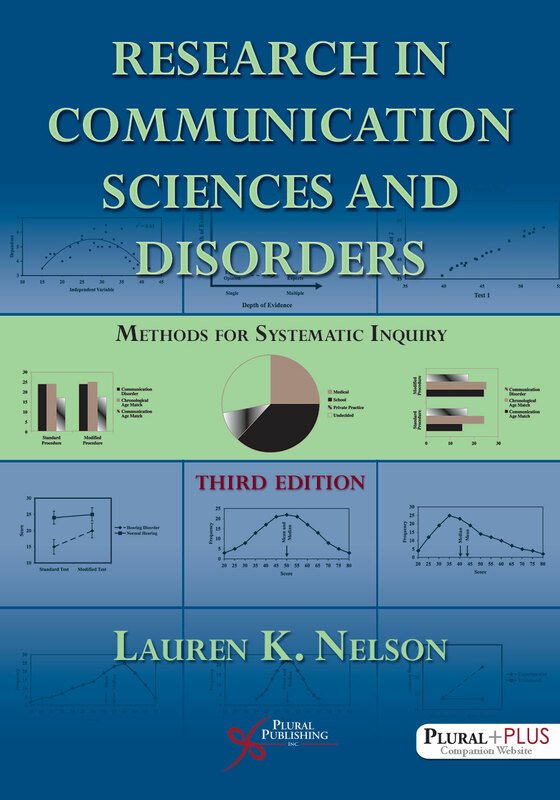 Consuming and Producing Research in Communication Sciences and Disorders is an exciting new textbook designed for undergraduate research methods in communication sciences and disorders (CSD) programs. 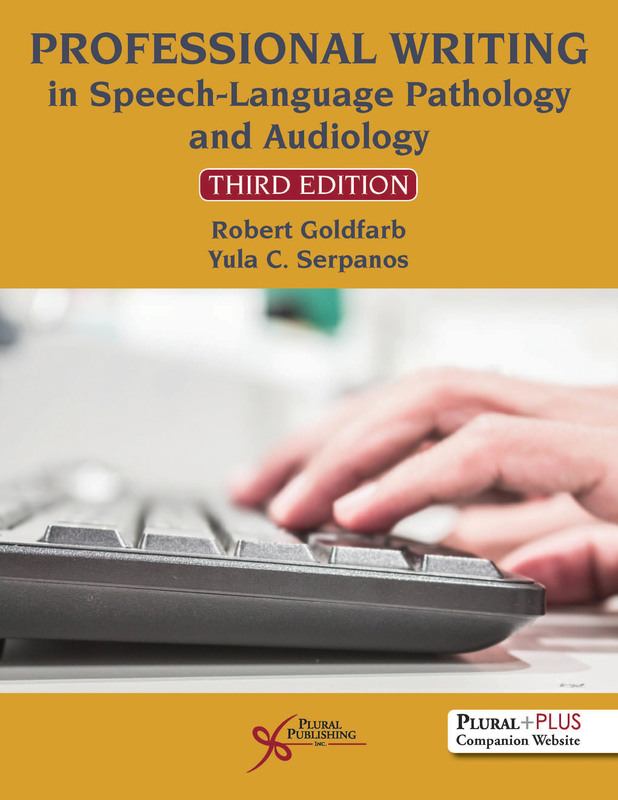 It is also appropriate for first-year graduate students taking research methods courses in speech-language pathology and audiology. The text guides students in attaining the competencies required to consume, produce, and disseminate research; and students will have the knowledge and skills that are necessary and sufficient to conduct research as is consistent with the duties of an academic professor. The text reviews what obligations an individual, professor or not, has before being permitted to do research. The emphasis is on clinically-oriented professionals who can perform the research associated with professors. Part I on Consuming Research in CSD includes academic-clinical integration of research, as well as information required for consumption of research such as research ethics, the scientific method, types of research, and how to critique a journal article and a diagnostic test. Part II on Producing Research in CSD helps guide the undergraduate student in producing a capstone project or senior thesis and the master’s student in producing a graduate thesis or research project. Part II also addresses mentoring, the Institutional Review Board, and conducting academic and clinical research. Part III addresses Disseminating Research in CSD, from the traditional (presenting and publishing academic and clinical research) to the non-traditional (marketing, social media, and new technologies). Each chapter begins with an Introduction and Learning Objectives to set the scene and prepare the student for what is covered. Advanced Study Questions end each chapter and allow the student to review their skills. Boxes throughout the text highlight key points and explore topics in more depth. A PluralPlus companion website includes PowerPoint lecture slides, a sample syllabus, and quizzes for instructors and supplementary resources for students. Should Exercises and Practice be Massed or Distributed? Are We Playing with Loaded Dice? What Is the Mentor-Protégé or Mentor-Mentee (hereafter called mentor-student) Relationship? Do Being Older, Having More Experience, and Having Greater Professional Authority Qualify an Individual To Be a Mentor? What Are the Ethical Concerns of a Relationship With a Large Power Differential? What Kinds of Mentoring Can You Expect? What Is the ASHA S.T.E.P. Mentor Model? How Does Gender Affect the Mentor-Mentee Relationship? Are e-Supervision and e-Mentoring the Wave of the Future? How Do You Know If a Book Has Been Peer Reviewed? 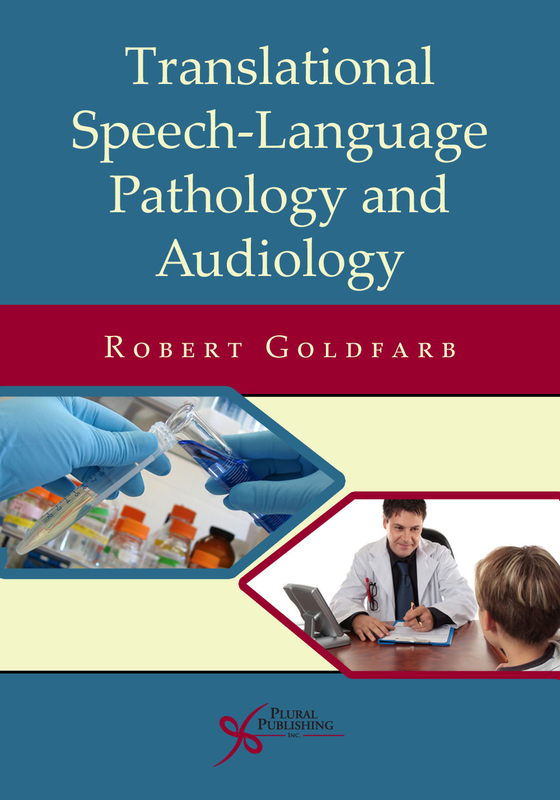 Robert Goldfarb, PhD, FASHA, is Professor (with the Professor Recognition Award) of Communication Sciences and Disorders at Adelphi University and Emeritus Professor of Speech-Language-Hearing Sciences at Lehman College and The Graduate Center, CUNY, where he was also Executive Officer. He was a Fulbright Specialist in Applied Linguistics/TEFL in Bogotá, Colombia in 2013. 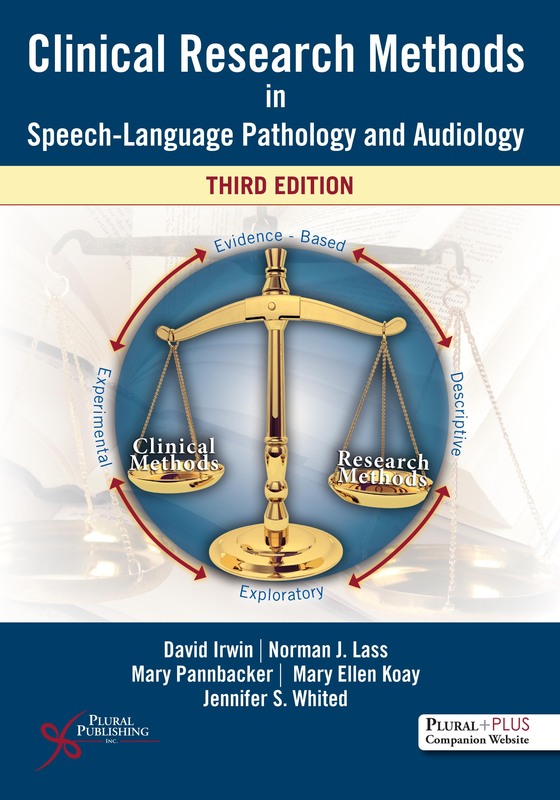 He has published in the areas of adult aphasia, the language of dementia, and the language of schizophrenia, and is also co-author of two tests: The Stocker Probe for Fluency and Language (1995) and Time-Altered Word Association Tests (TAWAT, 2013). 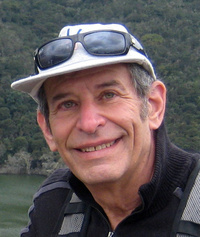 He edited and contributed chapters to two books and co-authored six others. He is the recipient of major awards and highest honors from New York City and New York State professional associations. 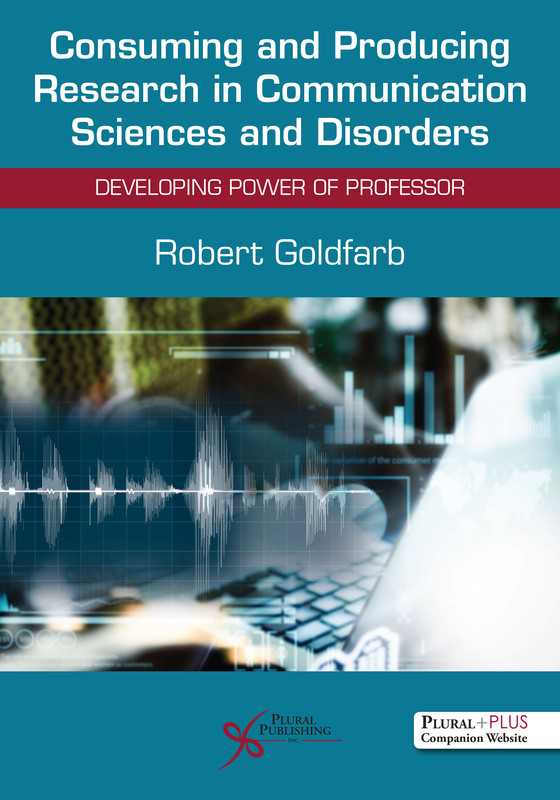 Purchase of Consuming and Producing Research in Communication Sciences and Disorders: Developing Power of Professor comes with access to supplementary student and instructor materials on a PluralPlus companion website. To access the student materials, you must register the access code printed on the inside front cover of your textbok on the companion website. *Note for students: If you have purchased this textbook used or have rented it, your access code will not work if it was already redeemed by the original buyer of the book. 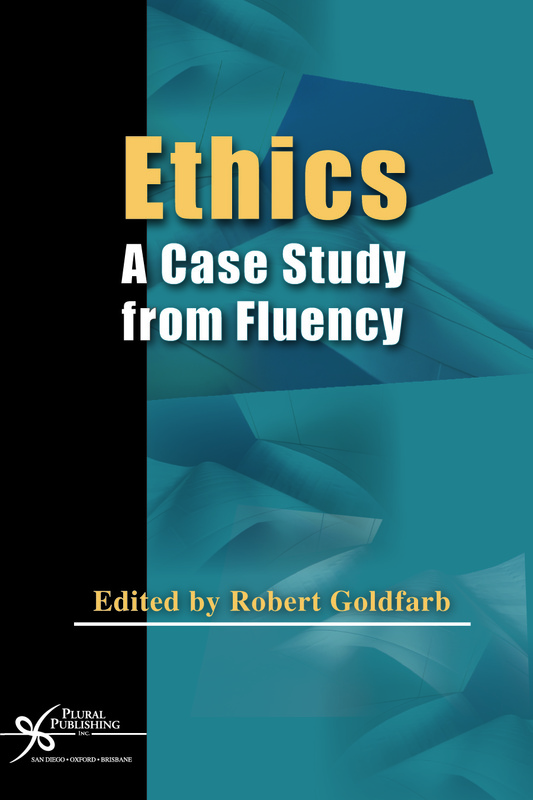 Plural Publishing does not offer replacement access codes for used or rented textbooks. Details: 397 pages, B&W, Softcover, 8.5" x 11"
Details: 338 pages, B&W, Hardcover, 7" x 10"
Details: 526 pages, B&W, Softcover, 7" x 10"
Details: 272 pages, B&W, Softcover, 7" x 10"
Details: 392 pages, B&W, Softcover, 7" x 10"
Details: 227 pages, B&W, Softcover, 6" x 9"